Janet P. Judge is a higher education and employment law attorney who focuses her practice in the area of sports and civil rights law. Based in Boston, she has more than 30 years of experience in higher education, intercollegiate sports, and labor and employment law. Ms. Judge is well-versed in civil rights compliance matters, Office for Civil Rights (OCR) and in-house program reviews, organization, employee and student investigations, strategic program development, and NCAA infraction investigations and resolutions. In addition, she has handled student-athlete eligibility issues, social media education, Equity in Athletics Disclosure Act (EADA) compliance, contract negotiation and pay equity analysis. Ms. Judge also handles representation and preventive strategies regarding sexual misconduct, hazing, academic fraud, student-athlete discipline and employment issues. Ms. Judge is highly knowledgeable on Title IX, and is a frequent speaker and instructor on the issue. She recently has served as an appointed member of the University of Tennessee Special Independent Commission on Title IX Resources and Programs, and as a member of the American Bar Association Criminal Justice Section Task Force on College Due Process Rights and Victim Protections. In addition, she currently serves on the NCAA Board of Governors' Commission to Combat Campus Sexual Violence. Ms. Judge has addressed the Knight Commission on Intercollegiate Athletics on the topic of gender equity in athletics and was hired by the NCAA to draft the successful amicus brief for the association in the University of California-Davis case. She is an online instructor of the Title IX coordinator course for the National Association of College and University Attorneys (NACUA). Ms. Judge also has taught Sports Law at the University of Maine School of Law. Ms. Judge has conducted workshops at more than 500 NCAA Division I, II and III institutions, athletic conferences and sport coaches' associations. She has been a speaker before the American Association of State Colleges and Universities (AASCU), National Association of College and University Business Officers (NACUBO), NCAA, National Association of Collegiate Directors of Athletics (NACDA) and NACUA, among others. 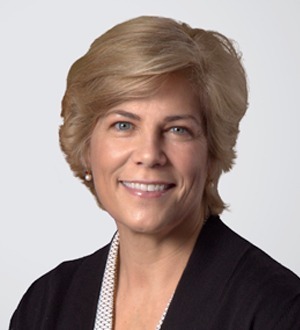 Prior to joining Holland & Knight, Ms. Judge was founder and president of Sports Law Associates LLC, where she worked with college and university presidents, general counsel and athletic administrators to assess, reduce and remedy areas of risk in athletics programs. In 2017, U.S. News & World Report ranked Sports Law Associates LLC, among the top-nine sports law firms nationally. At Harvard University, Ms. Judge was a three-sport athlete in soccer, basketball, and track and field. She coached soccer and basketball at Simmons College in Boston while attending law school. Upon graduation, Ms. Judge worked at Harvard in a number of roles, including assistant director of athletics with sport oversight and NCAA compliance responsibilities, liaison to the Alumni Relations Office, vice-chair of the Department of Athletics Oversight Committee, and as a member of Harvard's NCAA Division I Athletics Certification Steering Committee and the Athletic Director's Advisory Council. Ms. Judge also clerked for the Honorable Norman H. Stahl in the U.S. Court of Appeals for the First Circuit and spent 13 years as a labor and employment law litigator.